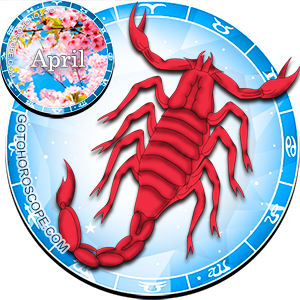 April 2013 Horoscope Scorpio, free Monthly Horoscope for April 2013 and Scorpio Astrology Forecast for the month ahead. 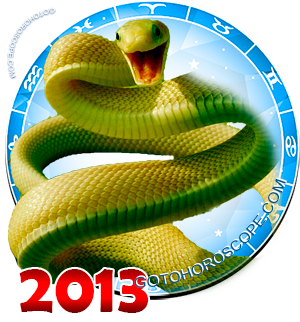 Scorpio, April 2013 will be a very busy month for you. There are four planets in Aries and your house of sell-improvement. You need to get started quickly in self-improvement and getting projects done. April 1st the Sun moves in to Jupiter and your house of shared resources. Set the stage for a partnership that can help with lasting financial security. On April 10th your may find that your creativity is enhanced and balance in your life becomes of paramount importance. Watch out on April 11th that obstacle are not thrown in your path of creativity and self improvement. If you plan ahead you will be okay. 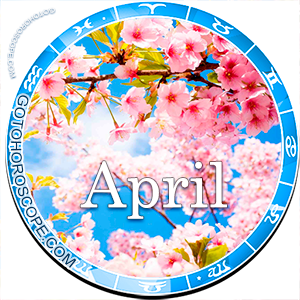 On April 2nd a close relationship may begin to cool off, and you will find yourself with time on your hands. April 24th rekindles the passion and creativity in your relationship and you move into new emotional territory. April 25th is the time when you are shown the unresolved issues in your relationship; you can now begin to fix them. Stabilize your gains and slow down. Work closely with others to get projects done. Be happy with what you have and make your family a part of your everyday life. April 4th through the 7th is a time of psychological renewal as you reorganize your learning, research and self-improvement tactics. On the 4th your house of data collection indicates that it is time to know all the question form beginning to end and to research out the answers. Search every side of an equation to find the answers. On April 6th you will have renewed communications with children that raises your curiosity and stimulates your appetite for knowledge. April 10th you want to just jump into a new health regime and exercise every day all day. This is a very strange and unproductive attitude! You do have the right idea, however, but do take smaller steps to get the improvements that will last longer than a few days. April 19th through the 22nd you want harmony in your home but you are having a hard time achieving harmony and balance. On the 20th of April 2013 you will have Mercury joining Uranus to help with creative ideas and produce a great stream of ideas. If you react to them immediately, you will have high success. A very Tense Mercury-Pluto squares on April 21st fuels arguments with friends and relationship partners. Tension will continue until around April 22nd. Allow for different opinions without trying to make sense of them. April 24th, 25th and 26th again solidifies you creativity. You will have relationships that are very satisfying. On the 25th of April 2013 your plans will be shaken up and prompts you to wonder if you are ever going to achieve your objectives. Be patient on the 26th you will begin to find success, your soul will be stirred and you will be inspired to keep working. April 28th is a day when your determination is a asset. You are feeling the effects of having to work hard to reach your dreams. Instead of being forced, today take a kinder approach to improve your personal and professional relationships.